Carry your technology with your brand name! Our small tablet sleeve is ideal for your 7" tablet. Constructed of 3 mm. imitation neoprene, the soft material provides a cushion of protection for your devices. The zipper ensures your tablet stays in place on the go. 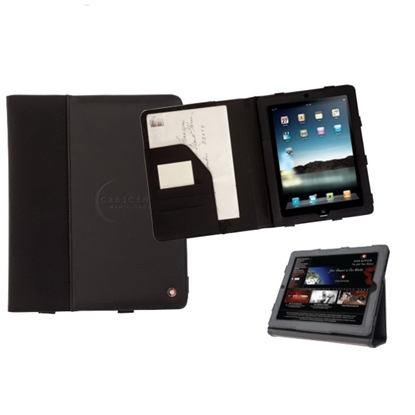 The sleeve fits up to a 7" tablet, including Kindle Fire (TM) 7", Kindle Fire (TM) HD, Samsung Galaxy Tab (R) 2 7", Nexus 7 (TM), and iPad Mini (TM). 3mm Imitation Neoprene. This is an ideal budget tablet holder! Removable elastic corners to secure iPad(R) or smaller tablets. Front slip pocket. Includes 5" x 8" writing pad. Stand it up when you're working, close it up when you're not! 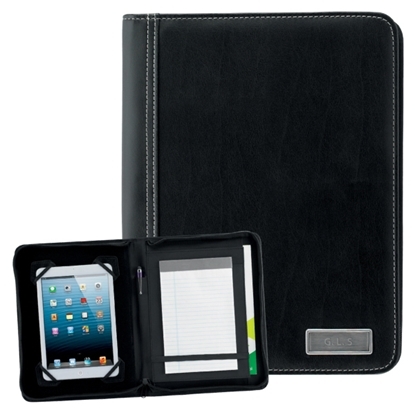 Our black leatherette Terra Universal tablet case cover features black stitching with color textured PU snap closure. The facing panel has an adjustable Velcro (R) corner tab with elastic. The device fits on the panel creating an easel for different positions desired. Your busy customers will see its versatility and your logo. 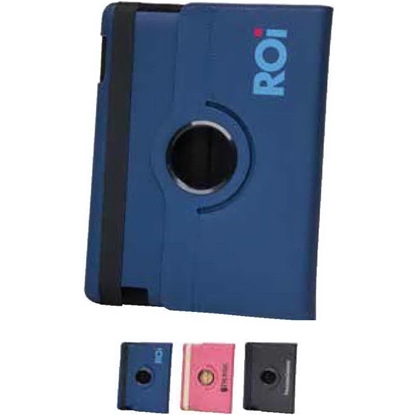 Fits 2 + 3 iPad (R) mini, e-reader and most android tablets. Your logo will travel far on this promotional gem! 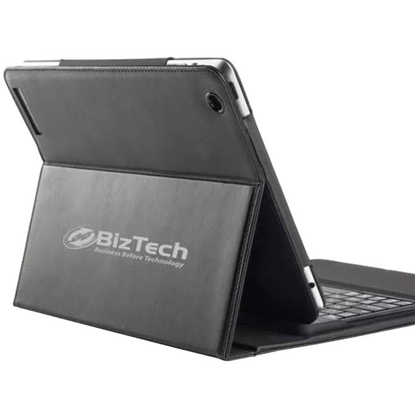 Our tablet case features 3 hands-free viewing positions and an elastic closure strap. This hardshell case fits the iPad (R) 2, iPad (R) 3 and iPad (R) with Retina Display only. 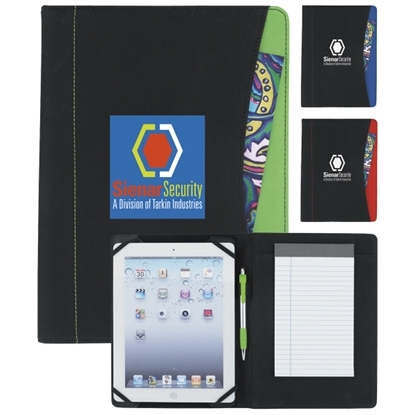 Lightweight and compact, the hardshell case securely protects the corners of your iPad against scratches or dents. 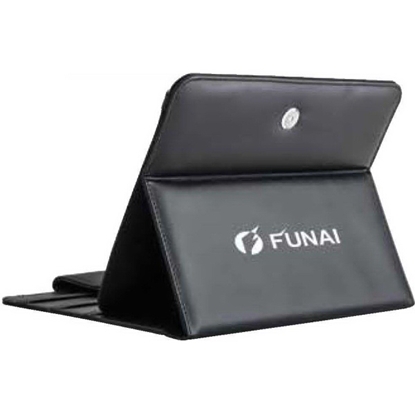 Made of PU (polyurethane), this case is ideal for universities, technology companies and more! Create an easel for easy viewing! Our 9 1/2" H x 7 1/2" W x 1/2" Cosmic iPad (R) Case features a sporty textured black PU leatherette book cover with black stitching and bold contrasting thick elastic band closure. The device fits securely in the internal frame with a soft velvet-like interior. The Velcro (R) strip secures the iPad (R) on the front cover. Camera and microphone openings are on the back. Your logo is silkscreened for daily brand exposure! Our unique suede Ferris Rotating iPad (R) Case features technology as cutting edge as your tech toy! The 360-degree rotating swivel allows the iPad (R) to rotate both vertically and horizontally while in the case, with 3 convenient stand positions for watching movies or typing. The easy snap-on allows quick attachment and detachment of the iPad (R) onto the case. Your logo is heat transferred for top-quality brand exposure on a device used daily! 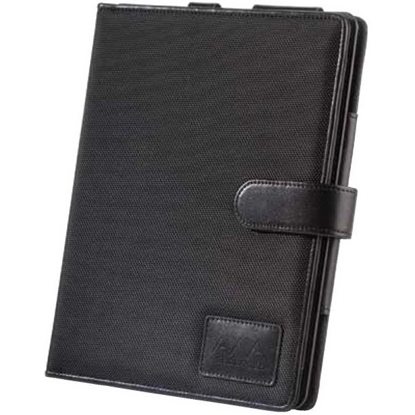 Handsome combination of black 1680D polyester cover with sleek leather magnetic closure, PU leatherette internal frame for easy-use, Elastic pen loop and 30 lined\npage notepad for note-taking, Black protective soft Suedelike lining, Great professional presentation! The 21st-century Sheaffer (TM) classic tablet holder allows you to carry not only your most essential documents but also your personal tablet! Be prepared for your next meeting with this multi-pocket padfolio. It features open main compartment, interior pockets for business cards and documents, custom Sheaffer (TM) liner and exterior rivet. Fits iPad (R) 2, iPad (R) 3, and iPad (R) with Retina Display. We recommend a sample to ensure fit. Full-Grain Leather, 1680 Denier Ballistic Nylon. Stand it up when you're working, close it up when you're not! Our black leatherette Handsome matte black PU leatherette book cover case with black stitching and slim magnetic closure, device fits securely in the internal frame which looks secure with a Velcro flap. Removable magnetic Bluetooth keyboard fits into inner frame for a slender profile, ON/OFF button, inner slots in the keyboard frame act as an easel for your tablet - for easy viewing, Up to 67 hours of use after charging, Charging cables included. 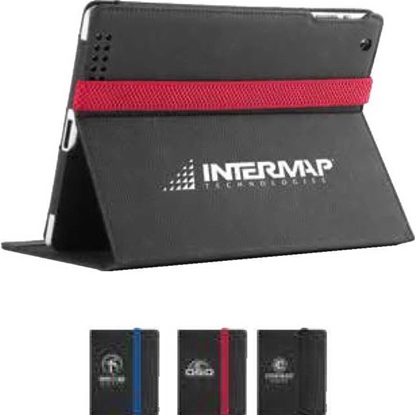 Mypromotionalpens.com offers the largest and best priced selection in Promotional Tablet Case Holder. We will price compete and we won't be under sold. 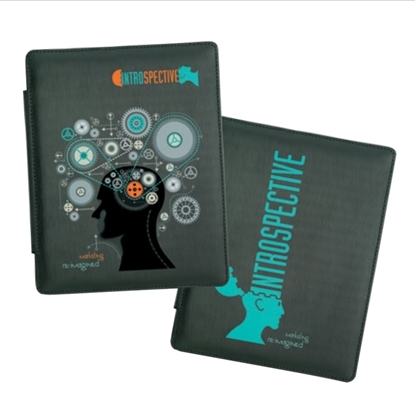 Let our graphic designers make your personalized Tablet Case Holder standout above the crowd at no charge. We won't stop until you are completely satisfied with your custom Tablet Case Holder art proof.Use category search filters on your left to help narrow your search to find exactly what you are looking for.